This year on December 6th, NRHS will once again experience the positive atmosphere of Challenge Day. 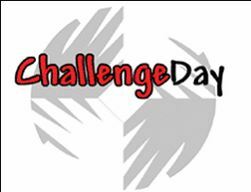 Challenge Day is a day-long interactive workshop where teens, teachers, and community members experience for themselves that compassion and connection are indeed possible in schools. NRHS has been hosting the Challenge Day event since the 2014-2015 school year. Guidance Counselor Shelly Philbrick has organized the program in previous years, but it is now organized by Newfound’s Student Assistant Program Coordinator, Kali Dore. During the day, students who participate should expect to be involved in different activities to get more comfortable with each other. Halfway through the day, these activities tend to be emotional as students start to open up to people in ways they didn’t expect to. Newfound senior, Victoria Roman, happens to be coordinating Challenge Day for the product of her Senior Project. She works along side of Kali Dore and is responsible for helping behind the scenes, such as getting all the volunteers, both student and staff, and setting up the activities. She believes that Challenge Day is important for everyone to experience because it connects and unifies students no matter their background. Victoria would recommend it to anyone who hasn’t gone before to do so. Kali Dore, previous Drug and Alcohol Counselor here at NRHS, took over the role of Challenge Day Coordinator and is in charge of getting the different leaders of Challenge Day from all over the country. Dore stated, “Challenge Day allows Newfound to become one, achieving the same goal, creating unity. The event bridges the gap between community and school.” Students and staff interested in joining the event should contact Kali Dore in the Guidance office at kdore@sau4.org.